Yeah . 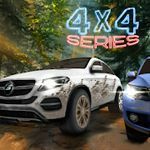 . . my two regrets is that I can't disguise the pixelation on the D-pillar and that I know I can do the intermediate in Deep Forest Raceway, but I just can't without wrinkling it's 'good looks'. She tends to slosh which isn't a bad thing and something I can usually turn to my advantage especially on a technical like this but she's too big and heavy to check mid-slosh without hitting someone. So for that reason you're seeing the Red Bull short ring. Again . . . Estate is not the model. 240 is the model. Estate is the body type. The 240 Series was available in 2 or 4 door saloon (sedan) or estate (station wagon). And again, All the wagon versions are listed as Estate. 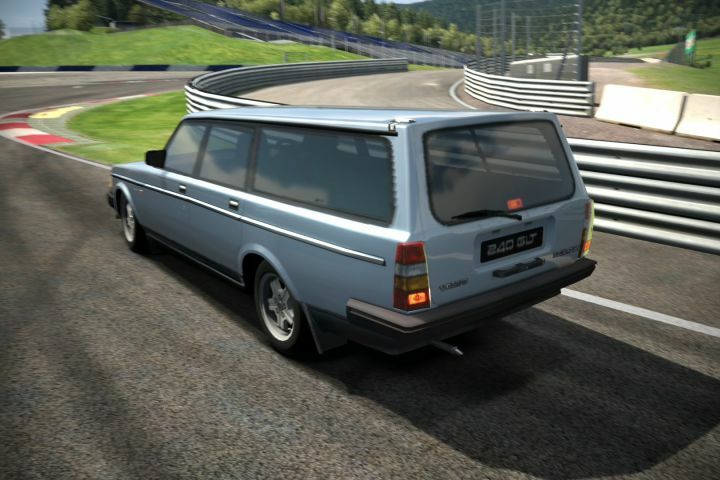 No, even Polyphony has listed it as "Volvo 240 GLT Estate" not "Volvo 240 Estate GLT"
The reason wagons are listed as estate is because estate is another name for wagon. It is not the car's name, it's a description. This 240 that happens to be in estate form. 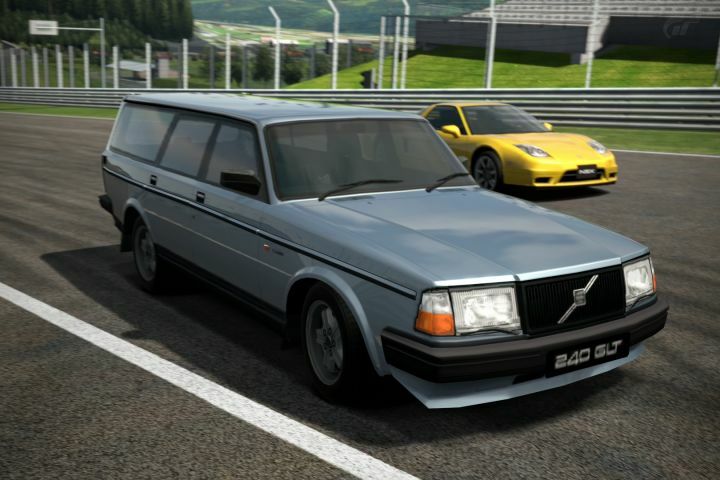 That looks like a Swedish wagon is going to beat one of the fastest cars made by Honda. Page generated in 0.230 sec.